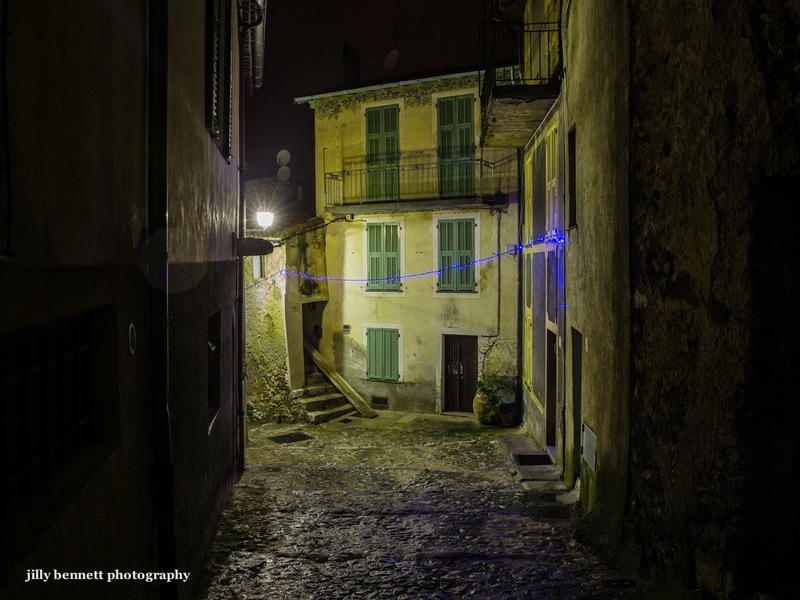 A single string of lights decorates this pretty area of Gorbio village. Une seule chaîne de lumières décore ce joli coin du village de Gorbio. I like the simple display more than the "too much." The pavement looks like dusty cobwebs. It has a bit of a haunted feel.